Merlins disperse from natal (birth) sites and migrate in a broad range of North American habitats. Distance and direction of F. c. suckleyi migration is unknown because there is no data available from banding. Competent biologists suggest there is migration into mid-California. Climatic influences determine the presence of songbirds and their Merlin predator outside of the breeding season. In temperate environs both songbirds and Merlins may remain through mild winters. However, some individuals, perhaps from northern latitudes, may travel farther south. 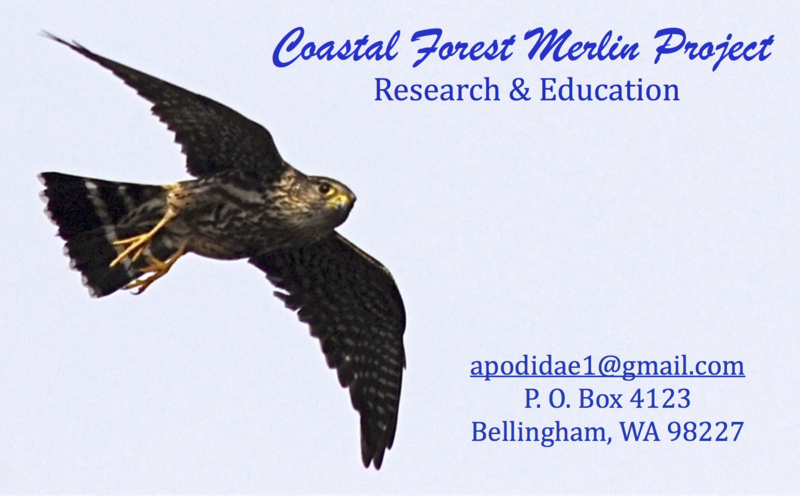 Our study and a few experienced observers conclude that during winter Taiga Merlins outnumber Coastal Forest Merlins in Washington.